Seneca produces quality filtered cigars with full, rich flavor and known for their smoothness, these fine Seneca little cigars give you a satisfying smoke with a tantalizing, easy draw and complex finish. 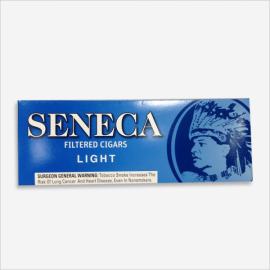 Featuring these tasty Seneca little cigars are in a nice variety of blends that offer a great choice when a larger cigar isn’t an optio. The seneca filtered cigars are a perfect combination of quality, affordability .a natural woody taste and full mouth feel or with a less chewy texture. 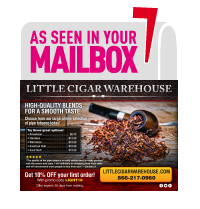 r This line of filtered cigars features delectable fruit flavors, including cherry, grape and blackberry, wildberry and peach. 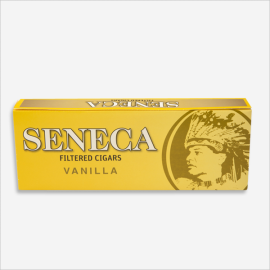 Other flavors include menthol, menthol light and vanilla. 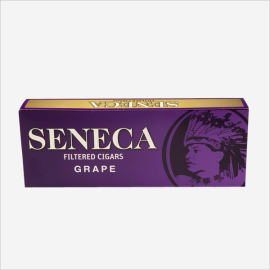 These special filtered cigars also come in original, robust and light. 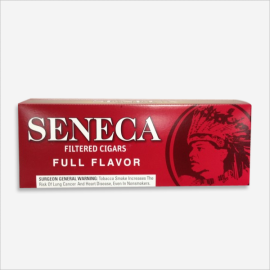 Nectar filtered cigars are available in fruit flavors and full flavor tobacco for a rich and delicious smoke.